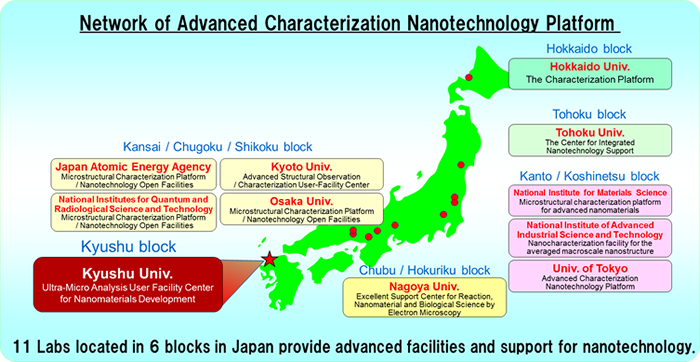 Advanced Characterization Nanotechnology Platform (ACNP) is one of three projects in the Nanotechnology Platform Japan program (FY2012-FY2021) of the Ministry of Education, Culture, Sports, Science and Technology (MEXT). The mission of ACNP is to contribute to innovation for the solution of problems that academia and industry face in　nanotechnology and materials science, and promote the sharing of cutting-edge analytical facilities of universities and national research institutes in Japan. ACNP consists of 11 research institutes in Japan. The Ultramicroscopy Research Center (URC) in Kyushu University (KU), which is a common use facility in KU, is one of the ACNP institutes. 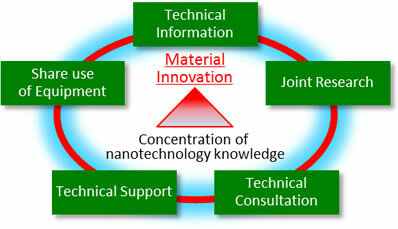 The ACNP at KU functions as “Ultra-Micro Analysis User Facility Center for Nanomaterials Development”. The URC provides intramural and off-campus researchers access to the “Ultra-Micro Analysis User Facility Center for Nanomaterials Development”. Utilization of the platform is divided into the use of equipment (common use and technical support) and collaborative study. A coordinator advises on the research planning. Approved users operate the equipment themselves or with assistance from our researchers. Use of the facilities can be extended to long-term collaborative study with researchers from Kyushu University. The URC offers TEM/SEM training programs to users. The programs are promoted as a cooperative project between Kyushu University (KU) and the HVEM Forum, which was established in 2005 with assistance from the Organization for Promotion Academic City by Kyushu University (OPACK) for researchers outside of KU. Users of ACNP project can participate in the training. Copyright © The Ultramicroscopy Research Center, Kyushu University. All Rights Reserved.